Why Use a Realtor for a New Construction Condo Purchase? Home » First-Time Buyers » Why Use a Realtor for a New Construction Condo Purchase? Before I get into the benefits of using a licensed Realtor when buying a new condo, I must emphasize that you need to go with your Realtor to any new condos sales office. If you go on your own beforehand, most builders will not cooperate with a Realtor after the fact. Your Realtor needs to be with you on every visit to a new condo sales office, especially the initial one. It is my opinion that using a Realtor, that specializes in the Toronto condo market (such as myself), in the purchase of a new construction condo is to your benefit. The sales representatives within the new condo sales offices work for the builder, which is where their true loyalties lie. By having your own representative, you will receive honest and non-biased advice. Your Realtor is looking out solely for your best interests. Here are the benefits when using me as your Realtor, when buying a new construction condo: 1) I work for you, not the builder, therefore your best interests are at heart. 2) I’m invited to VIP sales events which gives me access to the best floor plans and prices per square foot, before being released to the general public. 3) I have experience in new construction and will ask the right questions regarding construction financing status, assignments, occupancy, best floor plans, upgrades, exposures, etc. 4) I negotiate the purchase agreement in your best interest. As price is usually not negotiable (but most likely will be closer to/or after completion), certain fees/adjustments can be taken out or capped within your agreement. 5) I have access to the MLS system which can provide you with prices and useful information of comparable units in the area. 6) I can keep you updated on the project. Questions concerning construction and occupancy can be easily answered. 7) If you are looking to assign your unit, I can help you find a buyer as advertising is usually not permissible by the builder. 8) I can refer you to the best real estate lawyer in Toronto, that specializes in new condo purchases/assignments. The review of the purchase agreement by a qualified lawyer is an important step in the buying process. The most important benefit of using a Realtor is that they have your best interests at heart. Your Realtor will represent you honestly and ethically. You Realtor will assist you in making the best decision for your needs. With such a large investment, you need proper representation. 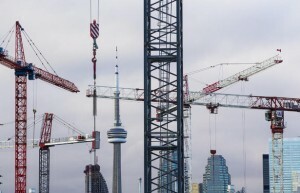 It is also important to note that builders rely on Toronto condo Realtors to help sell a large percentage of their inventory. Also, there is a common misconception that buyers save money when not using a Realtor in the purchase of a new Toronto condo or loft. The builder will not adjust the price depending on whether you have a Realtor or not. Your new condo/loft Realtor can save you money, by getting you into VIP pre-construction sales events, not available to the public. Using a Realtor does cost the buyer anything, as the builder always pays the Realtor. So why not have an expert represent you in the most important (and most expensive) investment of your life?